LGBT celebs including Olly Alexander, Ollie Locke, Ruth Davidson and Juno Dawson also feature. Today the 2017 Pride Power List comes out to coincide with Pride in London. The definitive list of movers and shakers in LGBT Britain is produced by OutNews Global, sponsored by BNP Paribas and White & Case and published in the Guardian. This year comedian and presenter Alan Carr has ranked the highest. The 41-year-old TV star has been on our screens for more than a decade, and is now more popular than ever. He has managed to achieve mainstream success, but is still a fervent supporter of LGBT rights and causes. This year he won LGBT celebrity at the British LGBT Awards and he is actively involved with both the Ben Cohen Stand Up Foundation and Albert Kennedy Trust Gala. Other celebrities in the list include Gok Wan (27), Ollie Locke (39), Val McDermid (42), Russell Tovey (46), Juno Dawson (69) and Dr Ranj Singh (81). 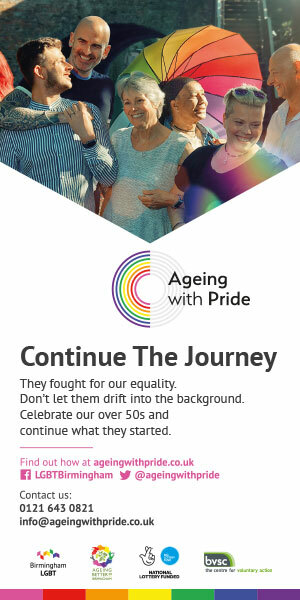 You can view the full list at pridepowerlist.co.uk.